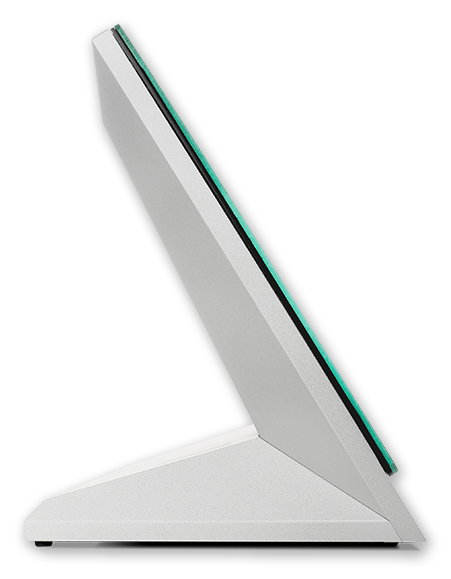 The MXT-1901-PAN / 19.4" Modero X® Series G5 Tabletop Touch Panel is a premium user interface that includes the G5 graphics engine and delivers superior performance. 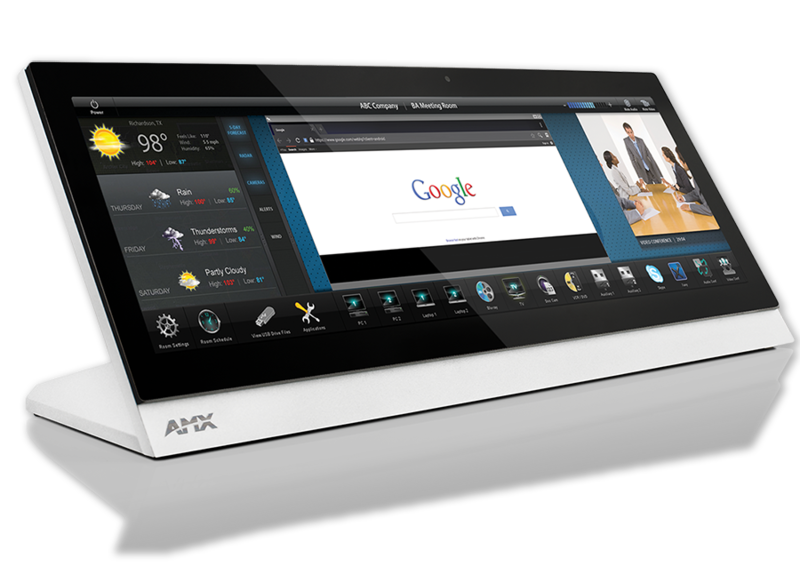 Designed specifically for dedicated room control, this elegantly-styled touch panel provides fast and smooth animations and transitions, along with a quad-core processor that provides more than enough processing power to run the most demanding applications today and in the future. 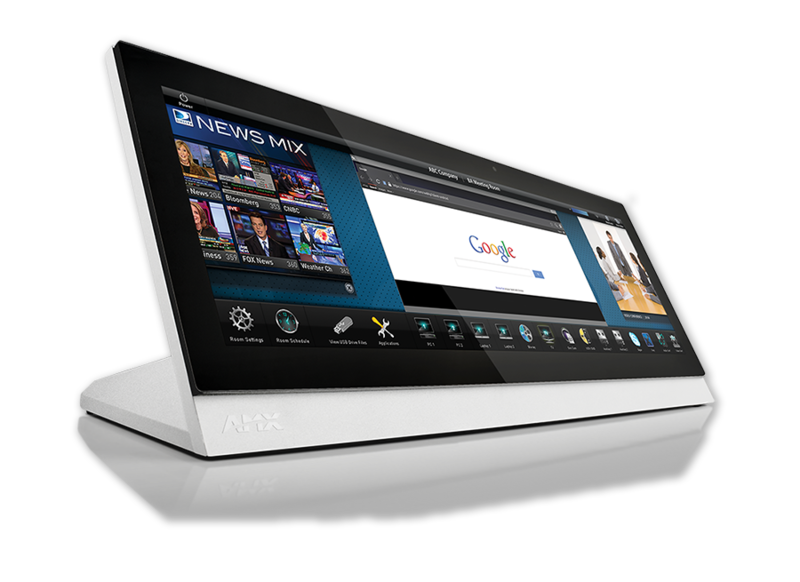 The MXT-1901-PAN also includes a built-in web browser and document viewers, enabling users to access real-time information during meetings or lectures. The Modero X Series G5 Touch Panels provide several industry firsts including a beautiful, panoramic capacitive multi-touch screen that provides users access to multiple applications with minimal navigation. The distinctive, low-profile design is engineered to sit perfectly on a table without obstructing views, and comes with a variety of mounting options for added security and convenience. The MXT-1901-PAN is ideal for boardrooms, conference rooms or auditoriums where a panoramic control surface is needed to provide access to multiple functions simultaneously while remaining elegantly unobtrusive. In Higher Education, the MXT-1901-PAN is ideal for lecture halls, auditoriums, performing arts theaters and boardrooms that require extensive control capabilities. In residences, it is perfect for main living areas such as kitchens, living rooms, home theaters or home offices where the control surface can be used to manage systems throughout the home. Built-in Web Browser, Document Viewers and Enzo Sharing – Conveniently simplifies accessing and presenting real-time content and documents during meetings. Simply preview files accessed via the native web browser, USB, or cloud storage apps before sending content directly to Enzo. An upcoming firmware release will allow apps to be updated or disabled using the onboard G5 App Update Manager. 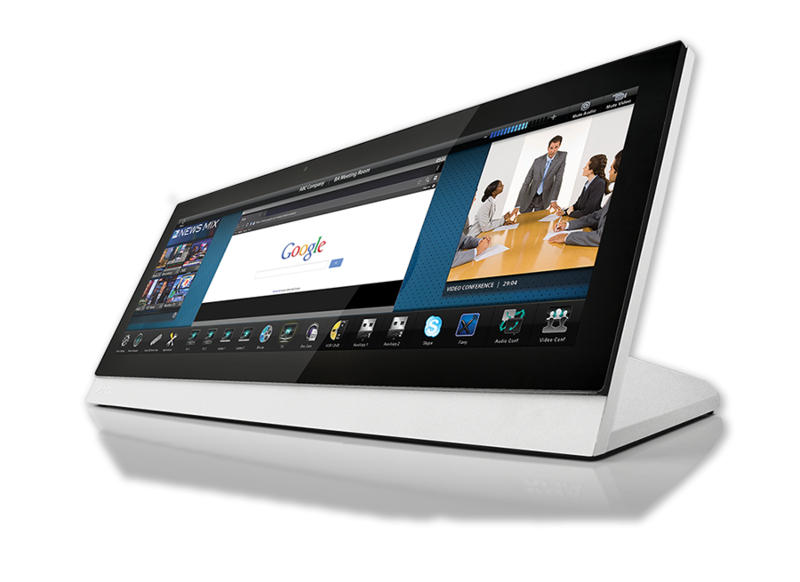 Multitasking with the Panoramic Control Surface – The panoramic aspect ratio of the Modero X G5 touch panels provides dedicated space to perform multiple activities at once. Adjustable Security Modes – With the ability to select from high security or custom modes, administrators can customize the panel’s security levels for access, networking and communication. *Product Update Notice: Near Field Communication™ (NFC) and High Frequency RFID (HF RFID) will no longer be included product features for all AMX Modero X® Series Touch Panels, shipping on or after October 1, 2017. Front Panel Components Light Sensor, Proximity Detector, Camera, LED Indicators, Sleep button. See Data Sheet for details.